On the first Sunday in Lent, I asked the children to point out to me things that looked different in the church on that day. This question was prompted by a question to me from one of them before the 9:00 a.m. service: why is the cross covered in purple? Well, an adult asked the same question this past Sunday, so perhaps it’s a good time to answer! The immediate and obvious reason is that Lent is a season of penitence, and purple is a sign of penitence. In my prayer life, this is a time of year for me to focus on the ways I fail to seek to do God’s good work in the world, the ways I am complicit in crucifying Jesus by not fully dedicating myself to the work Jesus did – healing the sick, loving the poor, feeding the hungry. 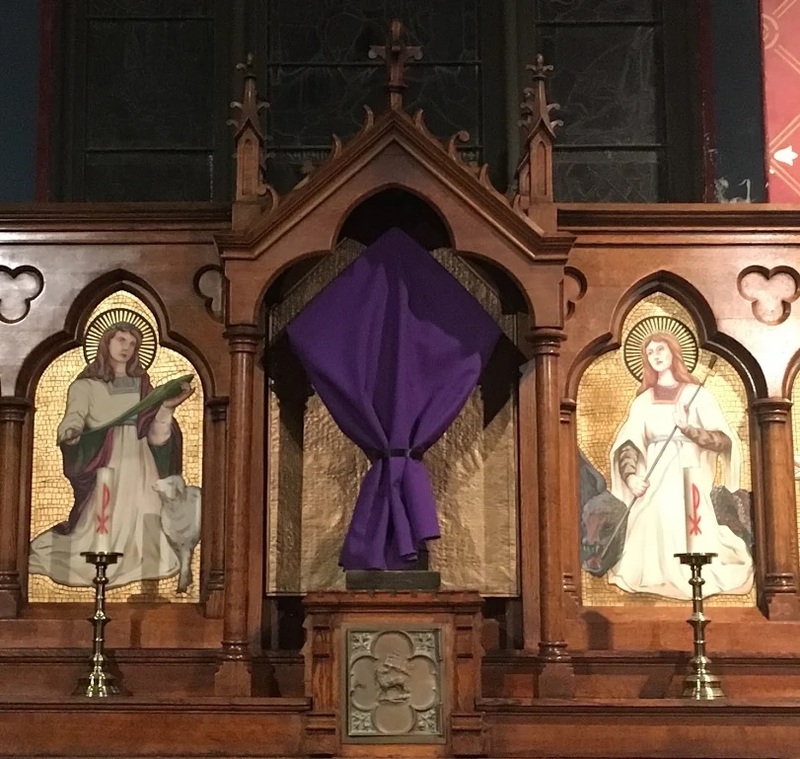 The veiling of the cross in purple cloth is a reminder to me of my own brokenness and leads to a deeper hunger to be near Jesus, to kneel at the foot of the cross, and to be able to see this sign and symbol of our Christian faith which has been hidden from me. There is a long tradition in the church of veiling the cross during Lent. The 9th century monk Hildemar of Corbie attests to this in his Commentary on the Rule of Benedict, writing that any adornment that reflects “joy and happiness” to include “vestments and other delights” ought to be removed from the church during Lent. Covering fixed objects is one way to accomplish this, and veiling other “adornments” is another. In many early traditions, the cloth covering was simple unbleached linen reminiscent of sackcloth, a fabric of penitence. The psalmist wrote “Hide not your face from me” (27:9). Veiling the cross, in a sense, “hides” God from us. We are not, in our sinful state, capable of viewing the glory that is God. On Good Friday, the color of the veils will change from purple to black, representing the extinguishing of the Light of the World. However, once Lent is ended and the great day of resurrection arrives, our time of penitence is over, and we are once again able to rejoice that “we have seen the Lord!” (John 20:25). 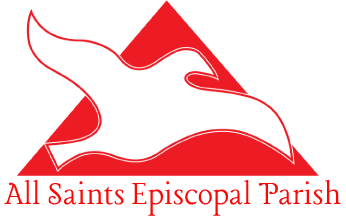 Our liturgies, vestments, and buildings are filled with symbolism and mystery. The transcendent God and our very human faith in God are sometimes hard to put into words. This is where images and traditions can help fill in the blanks where our language fails. Look around you, and if you see something that causes you to wonder why it’s there, ask!